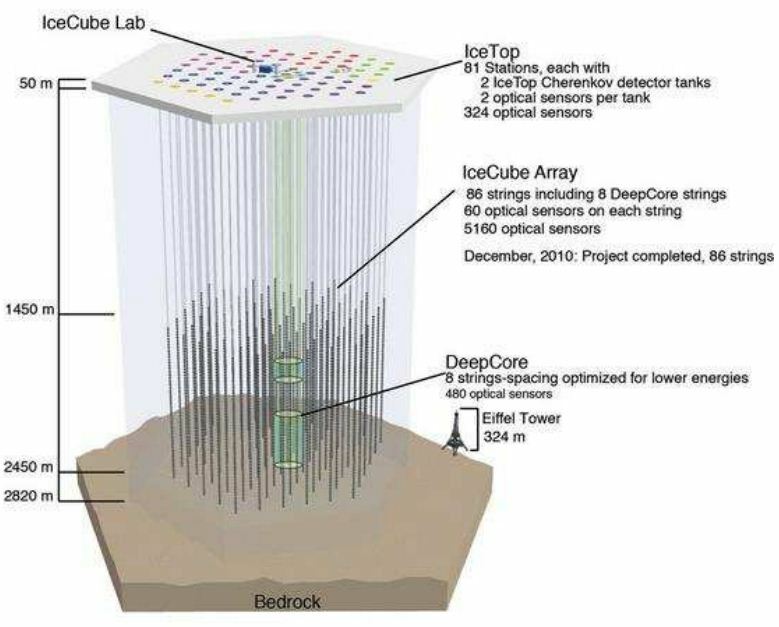 The IceCube Neutrino Observatory at the South Pole is a large array of photodetectors buried in ice. In 2013, the instrument reported signals from the highest energy neutrinos ever observed. Now, two teams of researchers have independently estimated the type, or flavor, of these neutrinos. As opposed to an earlier analysis, these new results are consistent with the neutrinos coming from cosmically large distances. Further work may begin to probe the physics going on at the neutrino sources. Cosmic accelerators, such as active galactic nuclei, should produce high-energy neutrinos with a flavor distribution that reflects the underlying physics. For example, pion decay results in mostly muon neutrinos and no tau neutrinos, but other scenarios exist with different initial flavor distributions. Nevertheless, because of neutrino mixing, the flavor ratio emitted by the source is not the same as that observed at Earth. In the case of pion decay, the observed electron:muon:tau ratio should be roughly 1:1:1. Other astrophysical scenarios predict a different ratio. IceCube cannot definitively measure the flavor of its neutrinos, but the instrument can tag muon neutrinos, and a small fraction of tau neutrinos, by the appearance of long “tracks” in the detector (as opposed to pointlike “showers”). Using the instrument’s data from 2010 to 2012, researchers not affiliated with IceCube claimed the best-fit flavor ratio was 1:0:0, i.e., no muon or tau neutrinos. This unexpected result implied exotic physics, such as rare neutrino decays or mixing with sterile neutrinos.